The giving of your time is one of the most precious gifts you can give another. 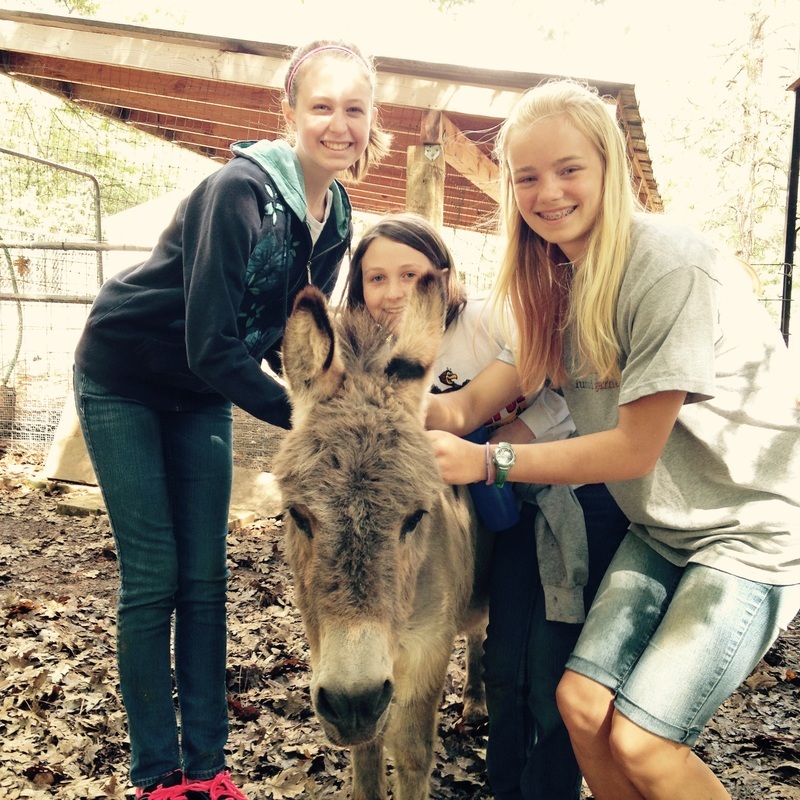 Volunteers come from all different walks of life to help the rescued animals at Blackberry Creek! Students Maddy, Gabby, and Emily (left to right) spend some quality time with Bob after pulling weeds and cleaning up after the animals. Check out our volunteer page to see how you can get involved and make a difference in the lives of others!